The year is 1882. The place is Diamondback, New Mexico. You are a stranger on the run – without a friend, a gun, or a past. Somewhere in this scruffy frontier outpost are the keys to your survival. And more. When rumors surface of lost Spanish silver, mayhem follows. Can you save a hardscrabble band of pioneers from themselves? 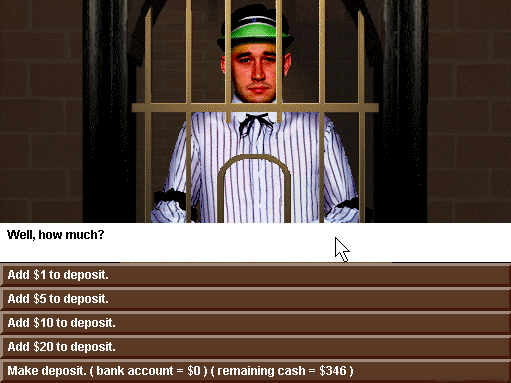 Or will you succumb to temptation in a town where you are the only law? 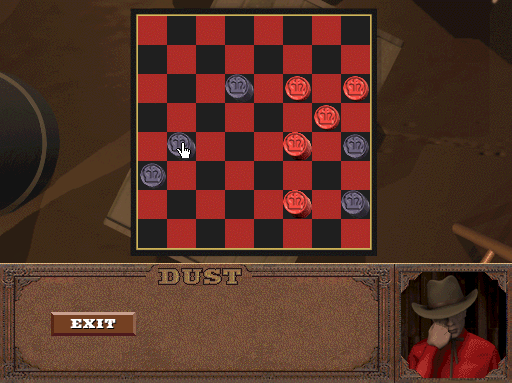 Stuck in Dust: A Tale of the Wired West, or looking for the best way to proceed? 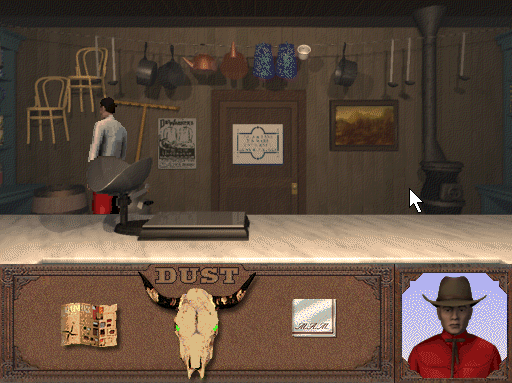 Click below to view our walkthrough for Dust: A Tale of the Wired West and wonder no more! 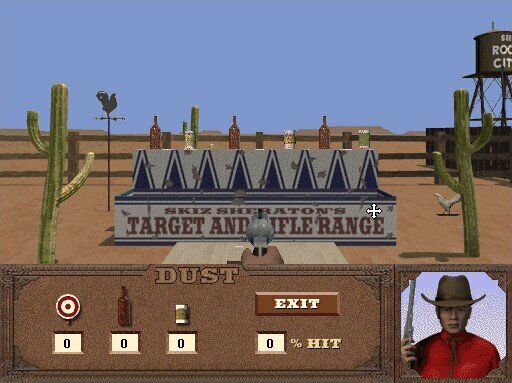 Dust: A Tale of the Wired West is an adventure game, released in 1995 by Cyberflix. 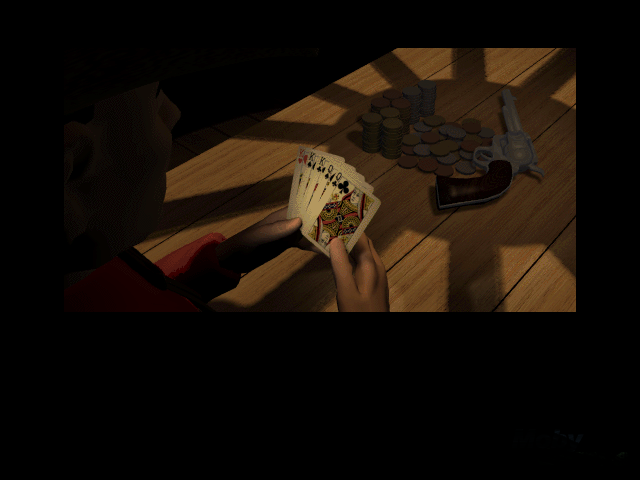 Dust: A Tale of the Wired West has a Illustrated realism style and uses a Point-and-click control scheme. 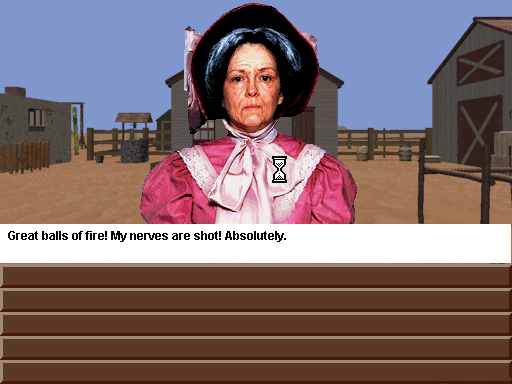 Adventure Gamers have published a review of Dust: A Tale of the Wired West and rate it as Very good, meanwhile the community rating for Dust: A Tale of the Wired West is Very good.